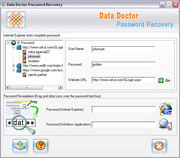 Internet explorer password recovery software is non-destructive comprehensive recovery utility that easily recovers all type of Internet Explorer saved passwords including Internet Explorer Auto Complete fields/passwords and identity passwords. 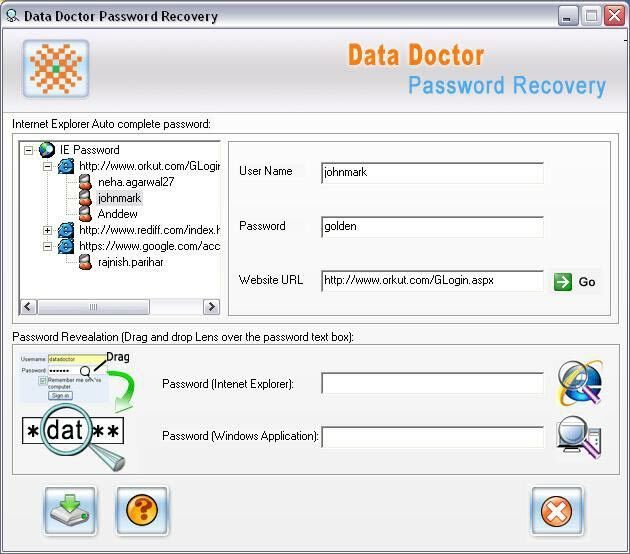 The software provides user friendly interface and recovers password within second time with multilingual passwords recovery support of Yahoo, MSN, Orkut Gmail etc. Enhance data recovery on all windows operating system including windows XP, Vista 98, ME, NT 2000 server edition on all major IE version. The software wizard simply provides an easy way to manage your lost information ever entered on your PC. Recover all multiple saved Internet explorer passwords including for Email account, newsgroup account and more. The software supports all versions of MS Internet Explorer. All passwords saved to Microsoft internet explorer are recovered instantly. Retrieve password hidden behind the asterisk (******). Full support for multilingual passwords! View server information (i.e. Incoming server and Out going server)! All recovered information can be saved to txt file for future use. The software is very easy to use and operate. Download and run the FREE demo version of the Internet explorer password recovery and passwords unmask tool. The demo software will show you the first two characters of the recovered password. Complete password is available on the Full version. After placing Order, You’ll receive an e-mail (Generally, within 5 minutes), having FULL version software Downloading link and Activation Key. Please click ‘Delivery of Product’ for details. Products purchased that are downloadable are NOT refundable. Please read our Terms and Conditions before purchasing the software. You MUST agree our Terms and Conditions before placing the order. We record all IP Addresses (even if you’re using IP mask) for all transactions, investigate and prosecute all credit card frauds to the fullest extent of the International law.